With 2.5 million fans to date, Boo, the world’s cutest dog, has been taking the internet by storm. 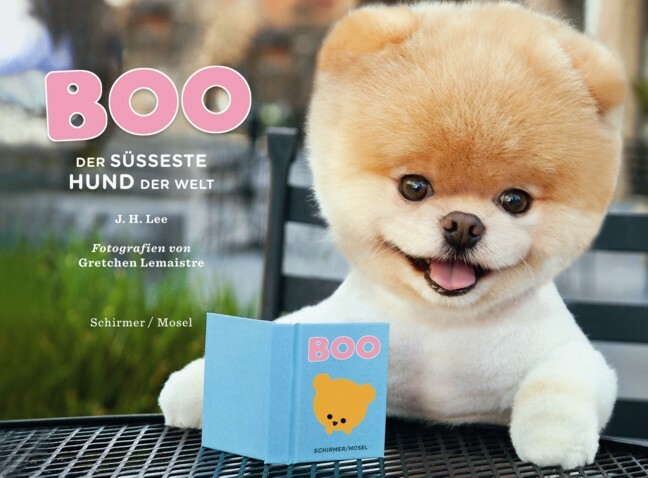 In Boo—The Book the close-cropped Pomeranian with the miniature bear look talks about outfits and outings, his friend Buddy, and pup doggy life in general. Schirmer/Mosel. Edited by J.H. Lee. With photographs by Gretchen LeMaistre. 80 pages, 92 colour plates. Size: 20 x 15 cm, hardcover, German edition.